Do you let your children bring in the New Year" My boys are now ten and nine and try to stay up until Midnight, but never make it! We have a small celebration with our best friends and their four boys, so we do lots of new years eve crafts and activities with the kids. I love ringing in the changes with our decorations and we often take down a lot of the christmas decor and swap it for some New Years decorations and themed ideas. We talk about what has happened in the previous year and our hopes and aspirations for the coming year. As a family we set our intentions for the year ahead. One of MadDad’s last year was to “be grouchy with style”! 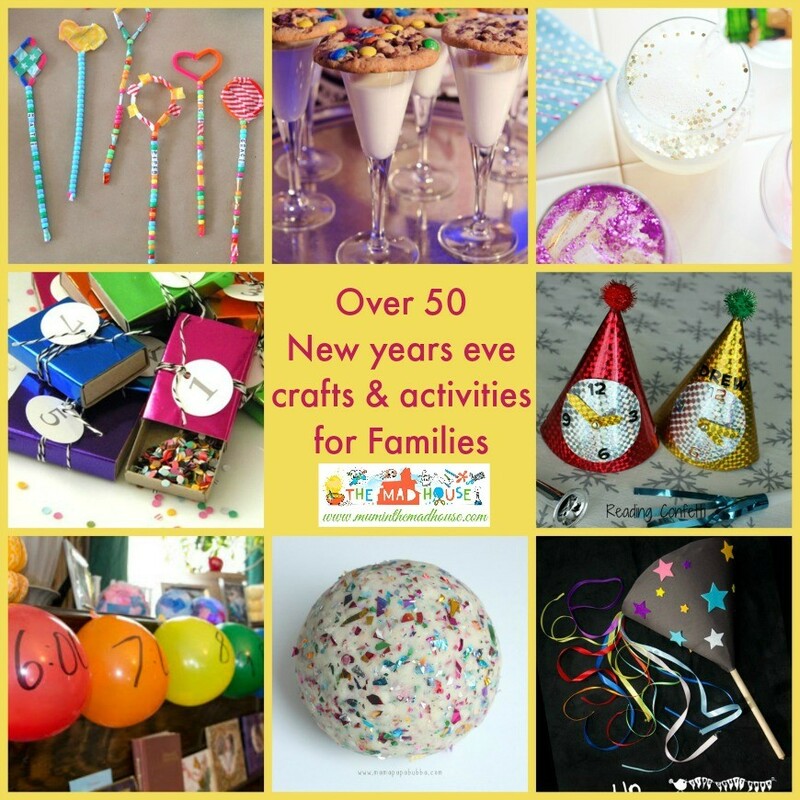 I have rounded up over 50 new year eve crafts and activities for kids.